Data center computers with Intel’s newer chips might reboot more often than normal because of problems with the patches issued to fix the so-called Spectre and Meltdown security flaws, the company has revealed. Intel confirmed that patches for the security flaws can cause higher-than-expected reboot rates in Ivy Bridge, Sandy Bridge, Skylake and Kaby Lake processors, said Navin Shenoy, general manager of the data center group, in a statement on Intel’s website. The Kaby Lake chips are the company's most recent offering. Shenoy said that Intel had issued patches for 90 per cent of Intel chips released in the past five years but that the company had "more work to do." He also said the company would send out initial versions of fixes for the buggy patches to customers by next week. "We have reproduced these issues internally and are making progress toward identifying the root cause," Shenoy wrote. On 3 January, Intel confirmed that the Spectre and Meltdown flaws affected its chips, potentially letting hackers steal information believed to be very secure. Intel on 17 January also quantified how much of a performance hit the patches cause for data center customers. 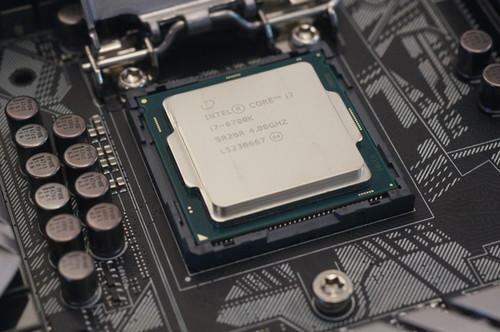 For common tasks such as running website servers, the patches caused a two per cent slowdown, Intel said. Read more Could chip flaws boost IBM’s standing? Another test that simulated online transactions at a stock brokerage showed a four per cent slowdown, the company said. For some types for work involving servers that store large amounts of data and try to retrieve it quickly, the company said the slowdown could be as severe as 18 per cent to 25 per cent. However, it wasn't immediately clear how common those situations were.